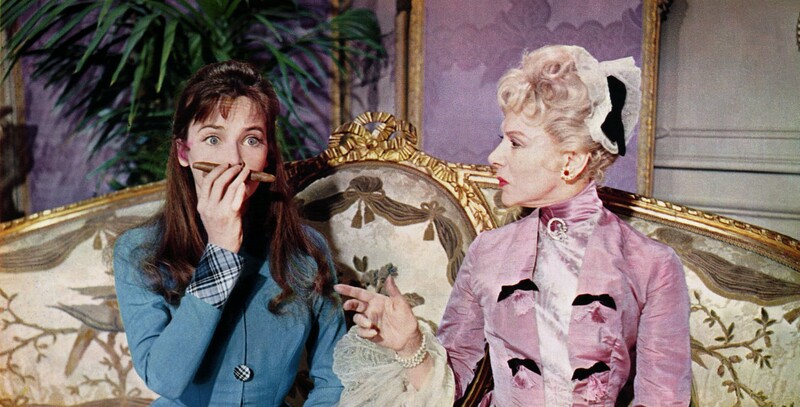 Leslie Caron plays Gigi, a young girl raised by two veteran Parisian courtesans (Hermione Gingold and Isabel Jeans) to be the mistress of wealthy young Gaston (Louis Jourdan). When Gaston falls in love with Gigi and asks her to be his wife, Jeans is appalled: never has anyone in their family ever stooped to anything so bourgeois as marriage! Weaving in and out of the story is Maurice Chevalier as an aging boulevardier who, years earlier, had been in love with Gingold's character.